Have You Thought About 2019 Yet? If you’re anything like me, you too feel that 2018 has totally flown by. This past month, I’ve had some amazing opportunities: styling my first show for New York Fashion Week, hosting a shopping event for a celebrity golf tournament, walking a few red carpets and speaking to audiences about the impact image has on income. Life has definitely been good! And I am so thankful for each opportunity and new friend I’ve made along the way. And while it might sound crazy to jump ahead to 2019, that’s exactly what I’ve been doing. I’m using the next three months to start living and acting out my New Year’s Resolutions NOW. That way, when January arrives I’ll be rocking and rolling in my routines instead of spending Q1 floundering around trying to get on track. 1. Assessment. What’s working in my life currently? What’s not? What fits the woman I am striving to be? What doesn’t? 2. Release: Am I ready to let go of the items/people/habits that no longer serve me? Have I allowed them become part of my identity and I don’t know what life would look like without them? Is a fear of lack, loneliness or uncertainty keeping me from letting go? 3. Dream: Am I open to the possibility that better is out there for me? What does my heart & soul want? When my brain stops thinking about limitations and obstacles, what is it deep down that I desire for my life? 4. Surrender: Have I considered the possibility that chasing, begging and forcing my dreams to come true does more harm than good? Am I willing to believe that my highest good is always on its way to me if I just relax, release control, accept help and surrender to infinite possibilities? To be totally honest, #4 has been hard for me. As an overachiever, I want everything to happen when I want it and how I want it. But when I look back on the best moments of this last month (and my last two years as an entrepreneur) I’m reminded that they all happened when I let my guard down and let unexpected greatness happen. Because I’d love some new accountability partners, I challenge you to ask yourself these questions and think about what you want your 2019 to look like. What goals do you want to accomplish? What do you want to start doing differently? How do you want to be seen & perceived? Every client I work with and every audience I speak to agrees that their image is critical to them achieving their goals. They knew (or least they know now), that the right wardrobe opens doors for the professional and personal opportunities they desire. 1. 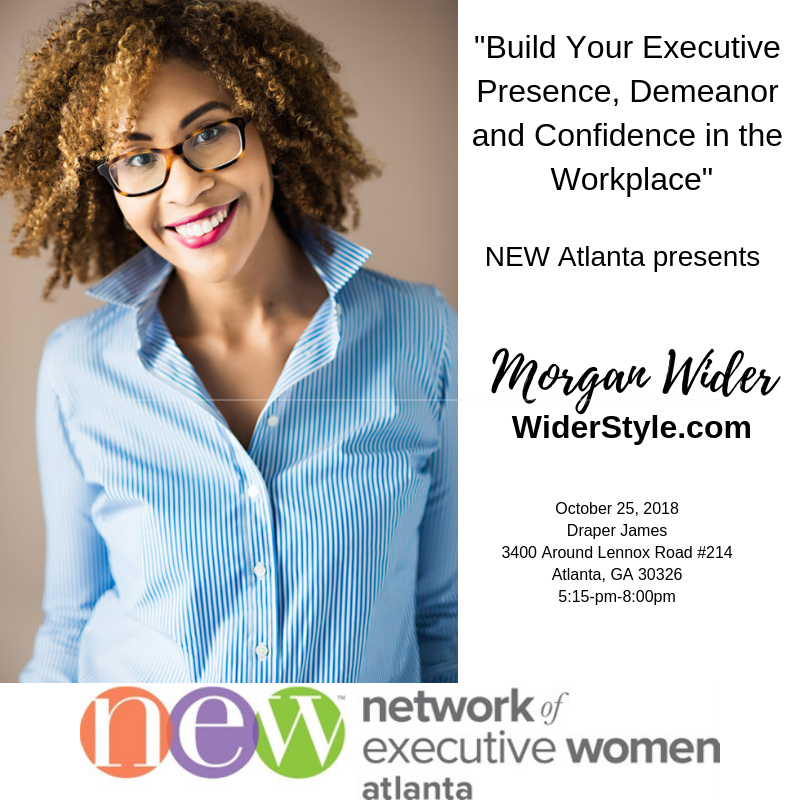 Join me and the Network of Executive Women on Thursday, Oct 25th at Draper James in Atlanta. I’ll be speaking on how to build executive presence with your wardrobe and doing a few mini makeovers. Get your tickets HERE. 2. Update your wall/winter wardrobe with one of my #smartshopping finds. Nothing is more “fall” than plaid, so check out two sophisticated (not school girl) plaid skirts below. 3. Schedule some one on one time with me. We’ll talk about how to solve your wardrobe challenges and feel good in your clothes. I want to hear about your goals for these next few months and 2019. Let’s support each other in living and looking our best. Plaid and penciled? This skirt from JCrew Factory is a fall essential. Pair with a denim shirt and pumps now, and a turtleneck and tights later. The silhouette of this plaid skirt by Nanette Lepore is super flattering: the fitted waistline creates a waist and the flared bottom graces over hips.